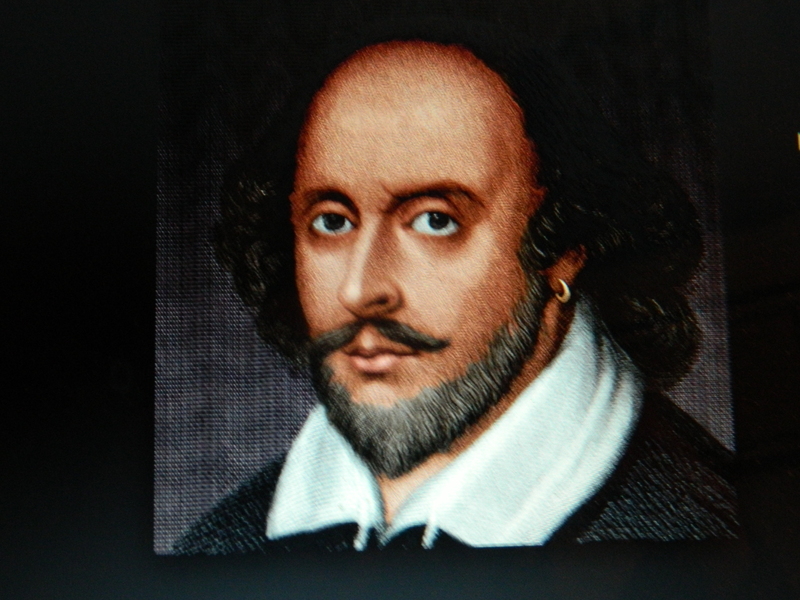 William Shakespeare – born April 1564. I awoke on this breathtakingly beautiful March morning, with my birthday but three weeks away, contemplating what it means to be a writer/journalist and the great joy I take in writing. As any contemplation of writing always does for me, it led me to “The Bard of Avon.” So gentle reader, please indulge me my admiration of William Shakespeare and this essay. I would dare say Shakespeare is my favorite author/playwright. Each year as his April birthday nears, I cannot help but ponder the thrust, impact and longevity of Shakepeare’s body of work. It is truly amazing as evidenced by the phrases from his writings that remain part of modern language with relevant meanings. With the approach of March 15, the first of those phrases that comes to mind is “Beware the Ides of March.” Taken from the Shakespearean play “Julius Caesar”, the line was spoken by the soothsayer to warn Caesar of a plot to assassinate him – an assassination which in fact did occur on the Ides of March in 44BC, and was a turning point in Roman history. Used in more of a joking manner in present times ,”beware the Ides of March” nevertheless still conveys that which may be ominous in nature and should be heeded with caution. “Et tu, Brute?”, translated it means “Even you, Brutus?” and was said in the same play “Julius Caesar” by Caesar to his friend Brutus who joined with the Senate to assassinate Caesar. Aptly described as one of the most famous of all literary quotes, it symbolizes the “ultimate betrayal” of a close friend or someone trusted. That said, considered in the context of the play, Brutus has just witnessed “the arrogance” of a ruler who within a republic sought to become monarch, “comparing himself to the gods”, as succinctly pointed out on the online source, “enotes Shakespeare Quotes”. Brutus makes a choice between his friend and his beloved country. Many popular lines were originated in “Hamlet”. Among them are: “brevity is the soul of wit”; “get thee to a nunnery”; and ironically – praising reason over passion – the passonate line, “in my heart of heart” (“Give me that man that is not passion’s slave, and I will wear him in my heart’s core, ay, my heart of heart as I do thee”). As well is the oft heard expression – “method in madness” speaking of that which may be both bizarre with an element of madness, yet unusually clever. Of course there is the soliloquy for the ages – “To be or not to be … ” in this speech Hamlet – alas Shakespeare – mulls the meaning of life. Within that speech is contained the line “to sleep perchance to dream – ay – there’s the rub.” The rub, or the complex obstacle. This is one of numerous Shakespearean phrases I find myself using in both conversation, and in my work. The mere title of Shakespeare’s “Romeo & Juliet” signifies a great love, in this unfortuate tale of “star-crossed lovers.” The latter being a term which still today warns of those whose love is ill-fated. “Parting is such sweet sorrow ” said by Juliet to Romeo is perhaps the most eloquent contradiction about love ever voiced, a vivid portrait of both the sweetness and pain combined in the depth of Juliet’s feelings for Romeo, as also pointed out on “enotes Shakespeare Quotes”. Another outstanding quote from Romeo & Juliet endures, “You kiss by the book.” This was spoken by Juliet to Romeo upon their first meeting, when she called him on his suave approach to wooing her. The Merchant of Venice conjures up a sweet memory for me – my freshman high school English teacher casting each member of our class in roles in that play which we read aloud together. I read the part of Portia. Amidst the many laughs we shared, as at first we stumbled through the old English and making contemporary sense of it all – it was a wonderful and enjoyable learning experience. I must add in regard to learning experiences about Shakespeare, how fortunate I was that when my older sister Candy was studying the Bard in school, she would have me too memorize excerpts from his various plays. I am also left with a rather indelible recollection of the witches scene in MacBeth which she recited perhaps a bit too convincingly … “When shall we three meet again? In thunder, lightning or in rain? When the hurly-burly’s done, When the battle’s lost and won. That will be ere set of sun. Where the place? Upon the heath (an open field). There to meet with MacBeth. I come, Graymalkin Paddock calls Anon. Fair is foul and foul is fair, Hover through the fog and filthy air.” Followed by her own insertion of “HA HA HA!” Yikes!! But I remember every word of it. Another quirky Shakespeare moment came one summer a few years ago in Windsor, Connecticut where I reported on a troupe of college age actors invited to town, and offering outdoor performances of “A Mid Summer’s Night Dream” at Northwest Park. It was done in a different style, interactive with the audience , as the actors had their scripts in hand. If they made errors they corrected themselves on the spot or were corrected by audience members. In past summers, in Pawcatuck, Connecticut which is not far from Misquamicit Beach in Rhode lsland, a Shakespearean festival has been held, I believe on the town green there on weekend nights. I have never attended, but hopefully, if it is scheduled this year I will have the opportunity to do so.